The autistic schoolboy at home for 300 days Jump to media player Alex Palmer has been permanently excluded from his school in Birmingham. Autistic boy missed five years of school Jump to media player Callum has tried mainstream and special schools without success, his mother says. Summer school for autistic children Jump to media player It is hoped autistic children will gain stability and independence by continuing to interact with others. Autistic boy sent to school 50 miles away Jump to media player Twelve-year-old William Lunn from Snodland, Kent, is being sent to a residential school 50 miles from his home. School's voicemail angers mother Jump to media player A staff member talks about an autistic pupil thinking they have hung up the phone. 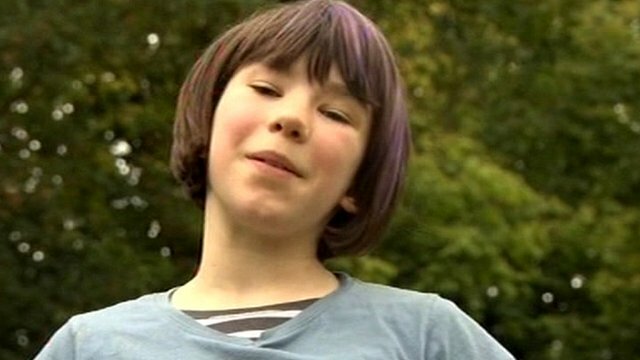 Teenager's film on having autism Jump to media player Teenager Rosie King, who lives with Asperger's syndrome, a form of autism, is appearing in a BBC Newsround special which aims to raise awareness about the condition. Alex Palmer was at home for 300 days after being permanently excluded from his school in Birmingham. The five-year-old has autism and his behaviour, which can sometimes be aggressive, proved difficult for the school to handle. His mother Rachael Palmer says she does not blame the teachers or local authority but a system in which there are not enough specialist staff and schools. Birmingham City Council says it does not get enough government money to deal with the demand for specialist provision.